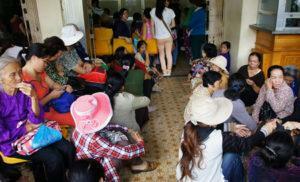 HomeASEANCould fee hikes dampen the healthcare reforms in Vietnam? Based on the directive issued by Ministry of Health and the Ministry of Finance on February 29, 2012, an increase in fees for almost 1900 medical services and products in public hospitals was proposed. The 2012 directive laid a plan for a 3 step price hike in medical services. In June 2015, the prices of 1996 services were hiked between 75%-85% of their respective ceiling rates. Those prices were applicable in 378 state-owned health facilities, including 52 hospitals. In March 2016, the prices are expected to rise by another 30%. This tariff regime is part of a larger change encompassing other services such as water and power that are now being linked with higher tariffs and reduced subsidies. Moreover, from July the basic salaries of medical workers will be passed on to the patients that will cause another 20% increase in tariffs. Among the services that will be affected are health check-ups at first class hospitals which will double; bed charges that will spike by 168%; as well as the price of flushing stomach which is likely to shoot up by 353%. The city’s health department anticipates that the increase is key for healthcare providers to operate their services and improve quality of facilities. From the expected increase revenue for hospitals, 15% is to be used to renovate and upgrade patient examination rooms. Hospitals will also be mandated to increase number of exam tables and medicine delivery counters and streamline collection of fees. Despite the subsidies, the Vietnamese population had to bear a significant amount of their healthcare needs through out of pocket payments. The current fee hike is likely to further pressurize the country where the poverty headcount ratio is about 13.5%. To manage this transition period created by the rise in healthcare costs, people are being encouraged to buy private health insurance. Currently, around 25% of the population does not have health insurance coverage. In a country already crippled by major urban-rural disparities in health-access; affordability concerns could possibly dampen the momentum gathered over the years towards rapid healthcare reforms.